Juve is a bar located on the premises of the Palachova dormitory (Jarov I), directly in Block B. The clientele correponds to the fact that the bar is located on the premises of the halls of residence. You can meet mainly university students here, both Czech and foreign students. So the bar is very noisy, so if you like silence, you should look around for somewhere else. However, if you do not mind noise and you enjoy places full of students, this bar is the right place for you. In nice weather, you can sit outside too. The bar is accessible from Koněvova street. If you prefer a more quiet environment or if you do not want to prepare your meal and are looking for a restaurant where you could have a lunch menu, the U študáka restaurant is a good choice. However, do not be confused by the name of the restaurant, you will not meet many students there. The vast majority of guests is represented by local residents, but it would not go amiss. There is also an outdoor terrace opened in good weather. The restaurant is located near the Strážní tram stop. If you do not want to eat much but you rather want to drink, have a good time and eventually have a dance, the music club Nová Chmelnice could be the right place for you. The club does not have regular opening hours; it depends on scheduled events. The list of events can be found on their web site. It should be noted that most of the events are in the rock, metal or punk style. But there are exceptions; a popular student party ‘Nation 2 Nation’ takes place here occassionaly. If you want to eat as cheaply as possible but you do not want to eat just bread and butter, you can visit a canteen. Canteens can be found both in the main VŠE building as well as the Jarov premises. The Jarov canteen even offers short orders. 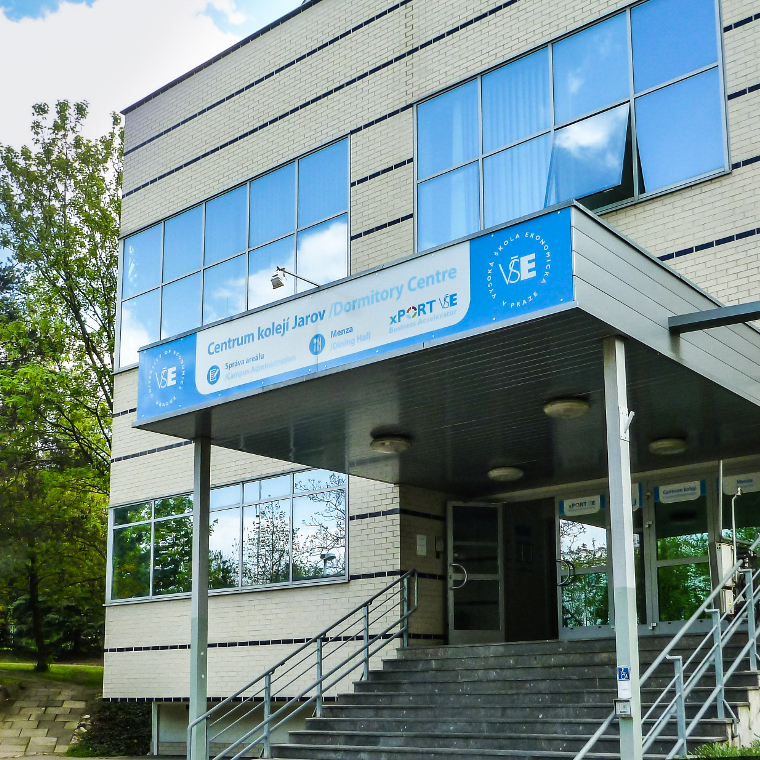 The canteen is located in the VŠE building, not far from the entrance to the Thalerova dormitory (Jarov III. G). Traditionally, offers 30 kinds of pizza with real mozzarella, fresh salads, pastas and grilled specialties from beef, veal, pork and chicken or delicious salmon.